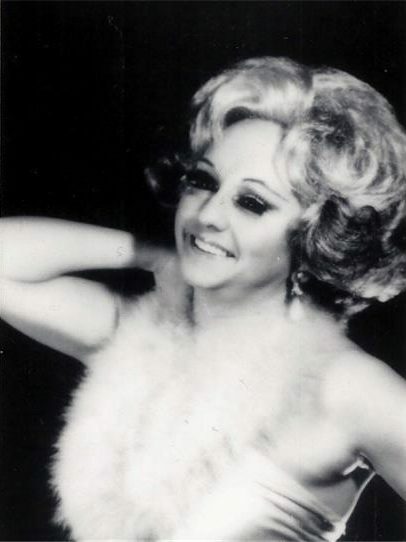 Donna Drag was the illusion of Donald W. Davis and was an entertainer active in the 60’s, 70’s and 80’s. Along with his twin brother and fellow drag performer Lana Kuntz (Ronald Davis), they both performed in St. Louis, Missouri where they were featured places the Red Bull. Lana started the Miss Gay Missouri America pageant in 1973 and in 1974 when she moved to Houston, Texas for business, Donna took over the pageant. In 1979, Donna moved to Houston, Texas as well. When recalling how Donna got her name we find that it was a tie in to her own boy name of Donnie and since he was doing drag he became Donna Drag.